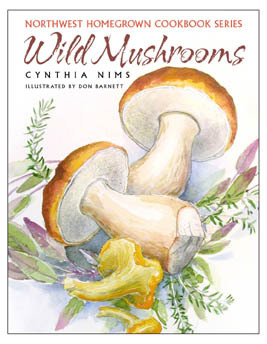 I’m wildly overdue in sharing news of release of the latest cookbook project I’ve worked on. 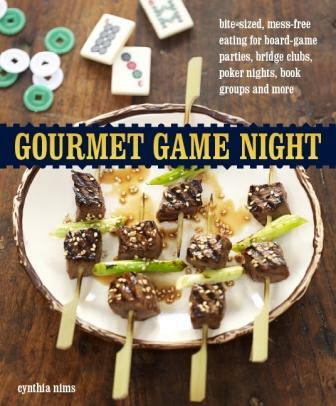 Delayed in large part because I was up-to-eyeballs in work on the newer book, Gourmet Game Night, which just went to bed this week. Coming up for air and getting caught up! Memorable Recipes To Share with Family and Friends is a project I worked on with Renée Behnke, president emeritus of Sur La Table. It’s a book I really grew to love over the time working with her on it. And it has been receiving some great press and kudos already, including having been named one of the ten best cookbooks of the summer by NPR. The collection encompasses recipes that ultimately act as something of a memoire for Renée, ranging from family treasures that take her back to her childhood outside Portland, to evocative, exotic dishes that reflect the amazing world travels she has experienced. How many other cookbooks could get away with clam dip, fried chicken, and peanut butter cream pie, as well as lamb shanks tagine, cheese-stuffed zucchini blossoms and Pakistani vegetable samosas? It’s a diverse and personal selection; something is sure to fit most any dinnertime situation. I tested all the recipes in my home kitchen, an objective perspective to complement her years of cooking these dishes for family and friends. I had many favorites, but a few of them include Tiny Potatoes with Hot Bacon Dressing, Wine Braised Corned Beef, French Potato and Green Bean Salad, Artichoke Risotto with Peas and Mint, and Red Wine Poached Pears with Ricotta Stuffing. Oh, and that fried chicken? It is one of the best recipes I’ve ever tried for that classic! makes entertaining look about as easy as rolling out of bed. She shares many of the tips she’s learned after years of throwing dinner parties of all kinds. In fact, reading Joanne Weir’s forward in the book, you’ll get a taste of Renée’s style as Joanne recounts a couple of her more memorable occasions dining with Renee. When you flip through the book and see the chapter-opener photographs, and many other garden shots — those all come from the glorious garden that she and her husband Carl tend. I can’t even tell you how many different plants are in that large plot, how many varieties of peas, potatoes, tomatoes, squash, herbs, beans, corn…they could set up their own CSA program! On Renée’s web site and linked blog, you can read more about her garden, as well as travels and other delicious things she’s up to. I just had the occasion to partake of a phenomenal luncheon–including some time in that garden, eating sweet peas straight from the vine–at her home this past week. The honored guest was Michel Escoffier, great-great-grandson of Auguste Escoffier and president of the Auguste Escoffier Foundation. Truly one of the rock stars of the culinary world, the elder Escoffier was a trailblazer and mentor of his time. Michel was in Seattle (for his first time ever) before boarding a cruise ship to Alaska. I was thrilled to be asked to join for this intimate afternoon. And, of course, Renée was in prime form. Not even an Escoffier descendant could throw her off her game. This woman knows how to do it! Me with Michel Escoffier, left, and Thierry Rautureau, right. French. The man’s in town for a few short days, hasn’t been to the city before, surely wants to relax and enjoy the local style and flavors. We early birds started on the deck with a little rosé and some very simple nibbles: carrot and celery sticks, a small dish of perfect Rainier cherries, some wonderful salted nuts. Then Thierry Rautureau, chef/owner of Rover’s, showed up with his contribution: deviled eggs, done up snazzy with a touch of Moroccan harissa. After a tour of the garden, we lingered a bit alongside the regulation-sized croquet court. Michel and Thierry knocked some balls around, as did I for just a bit. Renée figured that her guests were happy where they were, so brought the first course down to us: generous bowls of sweet, perfect Dungeness crab meat with a homemade cocktail sauce. It was simple, elegant and delicious. watching the faces of her guests showing up for a more formal dinner party in their home, when they realize they’re being serving an amazing brisket for dinner or maybe a big pot of luscious gumbo instead of more uppity beef Wellington. They just naturally relax, the food helping ease any sense of pretension about the evening. 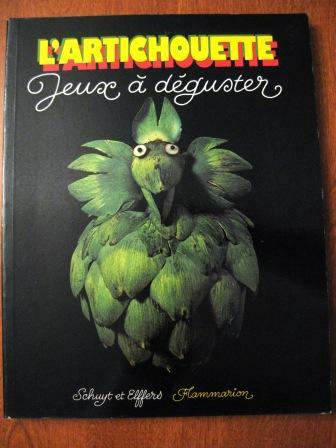 The moral of her story is that gathering people together is the foremost reason for entertaining in Renée’s book. Driving yourself insane with an elaborate menu and finicky touches that complicate the process? No need. Just think: fried chicken and a nice bottle of wine. It can be as easy as that. They say that the proof is in the pudding. And I say it’s also in the skillet-roasted chicken, the green gazpacho, the risotto with asparagus and peas, the braised lamb shanks with olives and the hazelnut soufflé. The proof I’m talking about is how well the recipe does its job. Preparation steps and cooking techniques all clearly spelled out? Ingredients all accounted for and in order? Cooking times accurate, descriptions of what “done” means easy to understand, the final product delicious? 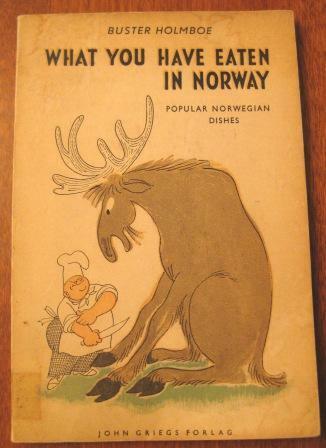 Ultimately it’s about how dependable the recipe is. This is one of the key tasks in the work I’ve been doing for over 15 years. Making sure that when I sign off on a recipe and it goes out to the world, that everyone who uses that recipes stands a fighting chance of having good results. I hate the image of a reader in his/her kitchen having just dutifully followed every step carefully and meeting with some less-than-delicious or -successful outcome, who thinks to themself that they must have done something wrong. Too often, it’s the recipe that did something wrong. My hope is to be the source of that scenario of frustration as seldom as possible. It’s why I test recipes like mad to work out as many kinks as possible before they get in anyone else’s hands. Having just done some math in my head (oh…okay, I admit I used a calculator), there are about 1000 recipes in the eleven cookbooks I’ve written and/or tested recipes for in the past dozen or so years. 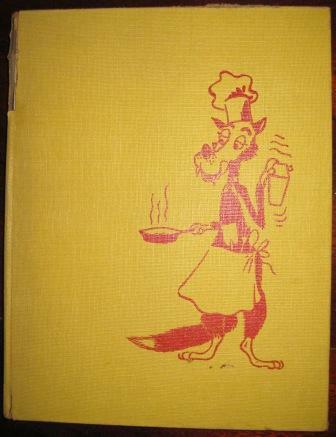 Some recipes were my own (my Homegrown series), many of them collected from a few hundred different restaurants (the Best Places cookbooks), two came from working in close collaboration with a co-author (Rover’s and Memorable Recipes ). That number doesn’t count multiple tests of a single recipe, nor the many dozens that were tested but didn’t make the final cut. I’d say that easily doubles (maybe even triples) the figure. Lots and lots of recipe testing. Recipe testing is one of the most important skills that was packed in my tool kit when I came home from my time at La Varenne in France. 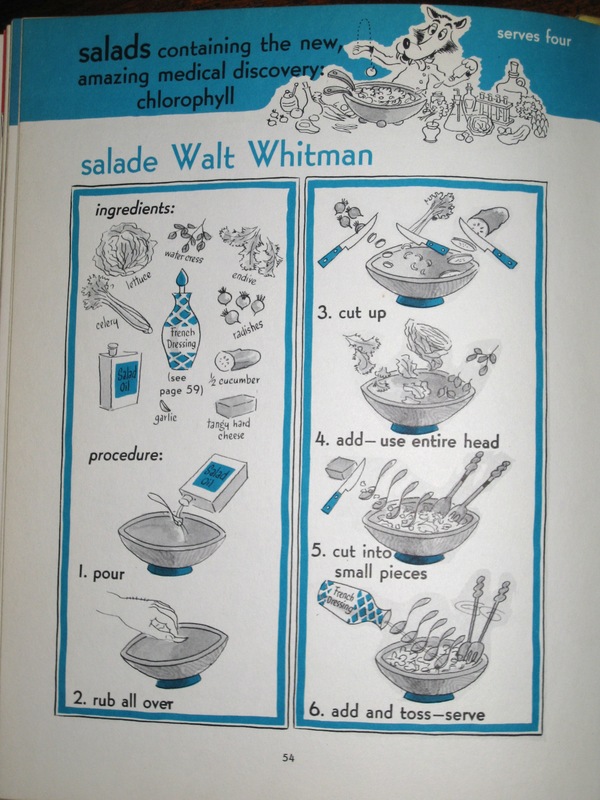 I had the phenomenal good fortune of having picked a culinary school whose owner, Anne Willan, was (and still is) a prolific cookbook author. As part of my editorial stagiaire (like internship) duties, I helped with a number of cookbook projects doing recipe research, writing….and testing. I learned that–done right–testing is a really detailed process that takes a lot of careful attention and note-taking. Every minute of sauteing/baking/reducing time is carefully monitored, descriptions of specific techniques scrutinized, tastes along the way to verify the flavors are building as desired. Careful testing cloaks the recipe in confidence of its reliability. I am going to be on a recipe testing rampage for the next few months. In a near-future couple of posts, I’ll tell you more about the specific projects in question. In the mean time I just wanted to bend your ear about this behind-the-scenes part of the cookbook process that I figure most readers aren’t too aware of. And I have a question. Do you ever stand in the kitchen in the midst of a recipe and hit a wall, whether it’s a technique not well described, an ingredient you don’t know how to approach, a piece of equipment you don’t have, an expectation by the author that isn’t reasonable in your home kitchen? I’d love to hear any of your recipe-frustration stories. To better understand the challenges that pop up in “real world” situations outside my own home kitchen. And to get a little bit better at making sure my own recipes (a random sample of them are here) avoid those pitfalls. It’s so tempting to call Marcella Hazan the “Julia Child of Italy.” The temptation made that much easier because I know so much more about Julia Child’s life than I do about Marcella’s, which I imagine to be true for many other cooks in this country. Reading the New York Times Book Review this weekend taught me far more about her life than I’d known. For instance, like Julia, Marcella did not fall in love with cooking until later in life. “She grew up in a household with a mother and two grandmothers who were ace cooks yet remained a culinary novice,” the Timesreview explains. And again like Julia, her husband was a strong influencer who introduced her to the world of gastronomy and fine dining, Victor Hazan is woven inextricably into the culinary career and life of his wife. 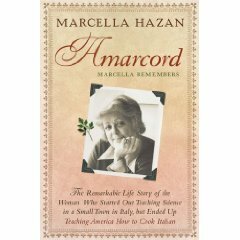 To help us all learn more about Marcella, from the early years when she just began to find her footing as a cooking teacher and cookbook author, we can now turn to Amarcord, her memoir being released this week. Amarcord, for those like me who didn’t already know, means “I remember” in the dialect of Emilio-Romagna in the north of Italy. (And it’s also the name of a Fellini film from the early 1970s.) Take a deep breath before reading the subtitle, “Marcella Remembers: The Remarkable Life Story of the Woman Who Started Out Teaching Science in a Small Town in Italy but Ended Up Teaching America How to Cook Italian.” Whew! Could have had a batch of gnocchi whipped up in that time. She is, no doubt, the Grande Dame of la cucina italiana, I refer often to her The Classic Italian Cookbookwhen I want to get at the nuts and bolts of Italian techniques and traditional dishes. I and others in the Seattle area have a chance to meet Marcella and Victor Tuesday October 14 at a gathering at ChefShop.com’s brick-and-mortar home on Elliott Avenue. Tickets are available here, and readers of Mon Appétit get a special off of 20% off the ticket price! Just write “mon appetit” in the notes field when you get to the check-out page (they’ll apply the discount when processing the order). Space is limited, so don’t delay in getting a ticket.